Urban Preparation contributes to a needed body of research on race that investigates “mechanisms, systems, structures, and practices that have a real bearing on students’ opportunities to learn” (vii). Urban Preparation highlights the scholarship of leading researchers who address questions related to race, poverty, achievement gaps, and the academic performance of minority students. An underlying thesis of Urban Preparation is that students in general, and minority students in particular, succeed when appropriate measures are in place. This is a resource for scholars in a variety of disciplines, including but not limited to: education, law, sociology, psychology, health, political science, and social work. The book begins with an overview of the Race and Education series at Harvard Education Press. 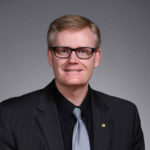 The series editor, H. Richard Milner IV, lists several objectives that guide the series and he challenges those in power to work “for the good of humanity, to interrupt systems, policies, and practices that work only for some while others remain underserved” (ix). 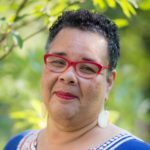 Reasons are given for focusing on the intersection of race and education and questions are asked related to poverty, transportation, housing, and employment, among others. In the Introduction, Chezare Warren explains why he wrote Urban Preparation: “to subvert dominant narratives that insist on casting urban-dwelling young, black men and boys as ‘at-risk’ or ‘disadvantaged’” (1). He shares the stories of these young people as counter-stories that portray them as hyper-vulnerable. 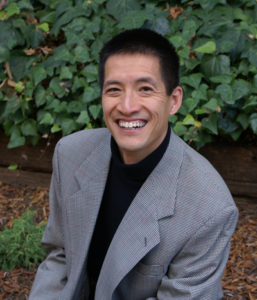 He is also convinced that social inequities and stories of failure must be examined alongside counter-stories of resilience, persistence, accomplishment, and triumph. 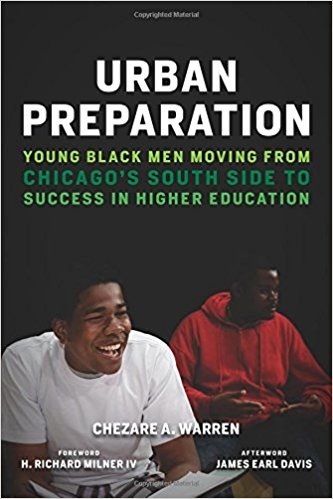 The book highlights the stories of seventeen young black men who are members of the inaugural graduating class of Urban Prep Charter Academy for Young Men, referred to as “UP.” UP is a high school for boys in the Englewood neighborhood which has one of the lowest median household incomes among Chicago’s Southside neighborhoods. However, UP is widely recognized for 100 percent of its graduating class gaining admission to four-year colleges and universities. Urban Preparation aims to: (1) describe the organizational design of UP; (2) examine the intersections of place and space to discern factors that motivate young black men to succeed against the odds; and (3) explore the factors that help narrow “opportunity gaps” for urban youth, and the implications of these factors (3). The book’s qualitative data consists of interviews, field notes, memos, and participants’ responses in order to construct a “coherent continuous narrative around dominant themes” that emerged from analyzing data (8). From the data, Warren chronicles the real-life experiences of the first graduating class by grouping the students into five composite characters with overlapping characteristics. The title of the book is derived from the school’s name but the book tells the stories of the seventeen students and “the meaning associated with growing up in an urban environment” (18). More than anything else, the book gives a better understanding of the academic and cultural strengths of urban minority youth in secondary and postsecondary settings. Urban Preparation is fundamentally a counter story as well as a critical study that challenges educators and all those interested in improving the education outcomes of black men and boys to listen to them and to learn from them. Outcomes-based learning invites the question of how to best produce them, and this book introduces the reader to seven high-impact practices (HIPs), namely high expectations, close and frequent student-faculty interaction, effective teaching strategies, undergraduate research, collaborative learning, service learning, and diversity. Chapters are organized around these seven features. The authors use their own school, Oxford College of Emory University, as a test case for their hypothesis that these features provide the best means for student success as measured in desire to continue learning, graduation rate, STEM interest, and community engagement. Institutions promoting HIPs provide intentional support to their students for these practices, cultivate diversity, and blur the boundaries between classroom and extracurricular life. The book is seasoned with excerpts from faculty and student interviews and almost constant reference to the last thirty years of research on academic practice. High expectations are created in classroom synergy between students and instructors, where instructors lead students in exploring beyond the basic subject information students are expected to learn on their own. Students report appreciation for being pushed beyond introductory knowledge and for gaining the self-knowledge that they underestimate their own learning capacities, something they would not have learned without high expectations. High expectations are successful when students have more opportunities to interact with faculty. This works best at smaller institutions and requires the institution’s support to work. While faculty report that interaction helps them tailor their instruction to students’ needs and abilities, they also caution against an over-customization that reduces a subject’s breadth and prevents students from being challenged by new and unfamiliar material. As expected, high-impact teaching calls for active learning techniques, with fourteen such practices – called “Inquiry Guided Learning” – described in the third chapter. Among them are student discovery (as in problem-solving), systematic construction of knowledge, cross-disciplinary integration, addressing misconceptions, creating surprise in the classroom, and using mistakes strategically. These practices are not formulas set forth by the authors but were derived from student-faculty conversations about good teaching at Oxford College. The reader looks in vain, however, for the redemption of the lecture as a component in active learning. In any case, faculty are advised to use practices that fit their personality and their discipline; some fit better than others. Collaborative learning is enhanced through student research projects, which should be found across the disciplines (STEM fields have done the best job here). Such learning is best coupled with collaborative leadership in student life activities. The greater benefit accrues the less division there is between a campus’s academics and student life. Students learn leadership skills and gain confidence if collaboration with their peers is encouraged in both areas. Service learning includes collaboration and moves students beyond mere cognition to an experience the authors describe as spiritual and aimed at the “whole student.” And, the more diverse a campus, the better the outcome of any sort of collaborative activity. 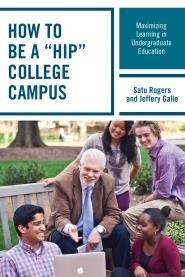 The conclusion offers readers ways and means of implementing these HIPs on their own campuses. Flexibility and adaptation are key, and in the process, more HIPs may be devised from conversations among all parties in different campus contexts. 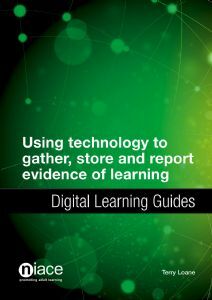 In this short synopsis, Using Technology to Gather, Store, and Report Evidence of Learning from NIACE’s Digital Learning Guides series, Terry Loane presents an overview of the current prevailing technological methods for collecting and reporting evidence of learning. Largely, the guide is sufficient and serves as a solid reference for non-technical educators; it demonstrates the best methods for individual circumstances by providing ten vignettes of real-life situations. Loane’s opening theme of “a revolution whose time has come” (4) flows fluidly through the seven chapters, comparing and contrasting old ways with the new. Loane explains both the need and value of utilizing common elements of modern technology like mobile devices, online tools, and e-portfolios, in order to efficiently and effectively collect and present the fruit of one’s learning. He notes that the days of simply having to state that a qualification was met are gone; now the learner can present learned skills using easy and effective methods like mp3 recordings, YouTube videos, and blogging (55). The majority of the book covers the various forms of evidence gathering, technological means for data collection, and options for long-term cataloguing and presentation of one’s learning. The methods covered do offer a satisfactory representation of current options; however, as Loane notes, “the world has indeed moved on in just five years” (23). With rapid technological shifts, we must be open to adjusting our methods. Even since this book was published in early 2014, technology has moved more toward video, the one method Loane warns readers includes a range of issues involving lighting, intrusiveness, file sizes, and non-standardized codecs (28-29). As these obstacles are fast being worked out, and becoming more standardized, this guide may have a short shelf life and be in need of a second edition in the near future. What I found most intriguing was Loane’s futuristic idea – and possible current direction in the use of technology in preserving evidence of learning – of developing an “Online Record of Learning, Experience, and Achievement” (5) that will “rehumanize learning” by showing that learning is more than marks on paper (56, 57). The development of an online clearinghouse of sorts for learners and assessors to store and share evidence of learning is one that could greatly benefit the educational community as a whole. Loane rightly demonstrates that even technology that learners and assessors use everyday (like smart phones and tablets) has all the tools necessary to easily present learning and to create such a system, offering the ability to take certifications and evidence of learning along as one moves from institution to institution and job to job. I recommend this guide as a suitable reference tool for the non-technical educator, learner, or assessor seeking to move from old paper-and-pen methods to contemporary digital options. As Loane demonstrates, the benefits of embracing technology in learning far outweigh the hindrance of changing former traditional methods.